READY OR NOT HERE COMES 2015! It’s just about a wrap for 2014! It’s been a pretty good year…I have nothing to complain about! I’ll just work to make 2015 even better. The plan for 2015 is to keep promoting a healthy lifestyle for everyone…especially for those who have more trouble. I will also continue to write articles that include healthy tips, tricks and plans. I will have a huge focus on posture and body awareness! This is the foundation for everything! 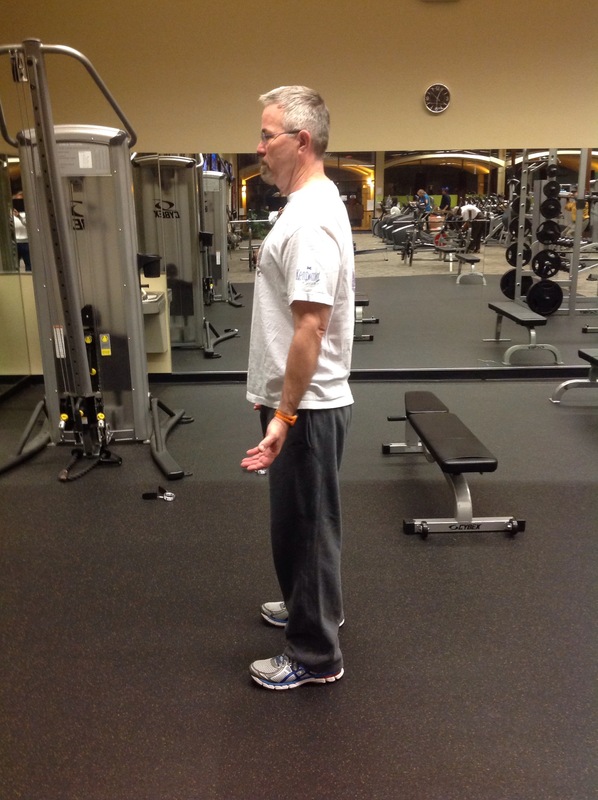 Posture has to be solid…or trouble looms ahead. There will be lots of FOUNDATION TRAININGS success stories and pictures. I love FT…it works, it’s a “go to” pain management tool and it can be done anywhere/anytime. I am adding corrective exercise to my arsenal also. I am presently in the middle of a class for certification. I hope to have that finished late January maybe February. Of course, after all that posture work/body awareness work we still have to work out! I am still a fan of the 15-30 minute total body type workouts. I think they are the best! Don’t worry, there will still be some weight lifting. I thank everyone who reads my site and all the clients I work with. Helping others to learn how to better take care of themselves is very rewarding and it keeps me doing the right thing also. Everyone be safe tonight and let’s make 2015 the best year ever! WHAT’S IN YOUR 2015 PLAN? Have you come up with your plan of attack for the New Year about your healthy? If so, that is awesome. If not, let me offer up a few suggestions. 1. Choose one or two things to implement into your daily routine and commit to it. For those of you who are overweight and make poor choices on food choice and exercise. Keep things simple…just start with changing one or two things so that it’s doable. For example: I will prepare leftovers for the next day’s lunch instead of going out for lunch. 2. Commit to getting up a little earlier and take a walk…even if it’s only 10 or 15 minutes. It will refresh you and start you day off with an energy boost. You can later add a longer/faster walk or even jog. You could take a 10 minute walk, come inside and do 10 squats, 10 push-ups and 10 planks. Make exercise simple! 3. Get an assessment. The new trend in fitness is WELLNESS! Get a posture assessment. A lot of pain issues are derived from poor posture. It’s a fact! Get you posture corrected…it will line the joints up better, help the muscles work better, give you more mobility and help get you out of pain. If you are not in pain…you want to do more. 4. Learn Foundation Training! This goes along with posture. Foundation Training should be in a staple in everyone’s exercise program and daily life. FT will help with posture issues, increase strength and flexibility, improve balance, and decrease back pain. I practice it daily and it works! The only thing in life we can control are our choices. To be health you have to make choices. I wish everyone would make the choice to be healthier, but they don’t. I will continue to help motivate those individuals and anyone else to choose a healthier way to live. Hoping everyone had an awesome Christmas and lots of good food. We are on the down side to ending 2014. Still more food, celebrating, football games, and family/friend time. Everyone enjoy! As for me I am always spending time learning about the body and helping people improve their posture, fitness and help decrease their pain. Of course, I am a fan of taking care of the body the most natural way possible. Lots of healthy food, better movement patterns, exercise using better movement patterns. The body is a magnificent machine that needs to be oiled and lubed, hence “movement”. This is how we maintain the flexibility/strength and the integrity of the muscles and joints. I can not begin to explain how in depth the brain and muscular system work to keep us moving. I can tell you that way to many people eat poorly, sit to much, have bad posture. The combination of these three things is detrimental to our health and well being. So, my focus is on helping individuals improve in these areas. 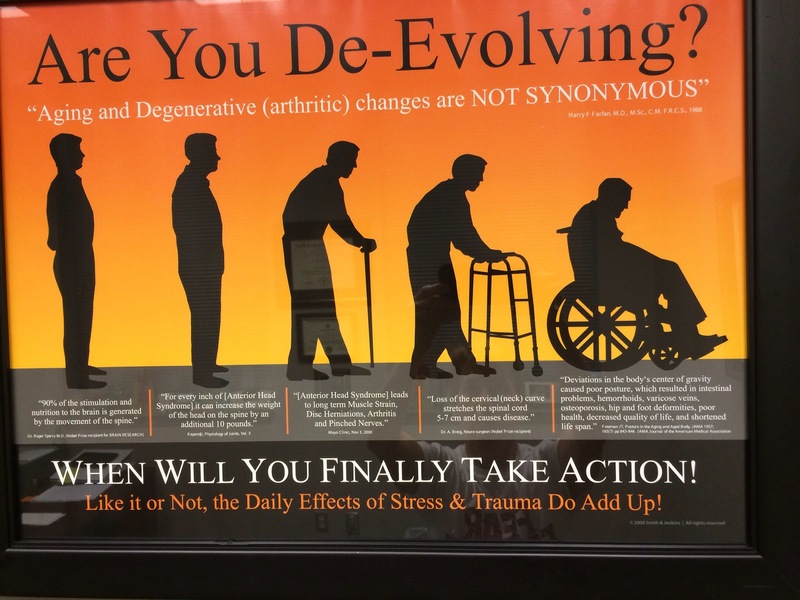 Improvement in these areas is mandatory to reduce pain, protect joints, strengthen our muscular system and to keep us moving in a proper way. So, here’s to 2015 and better movement! 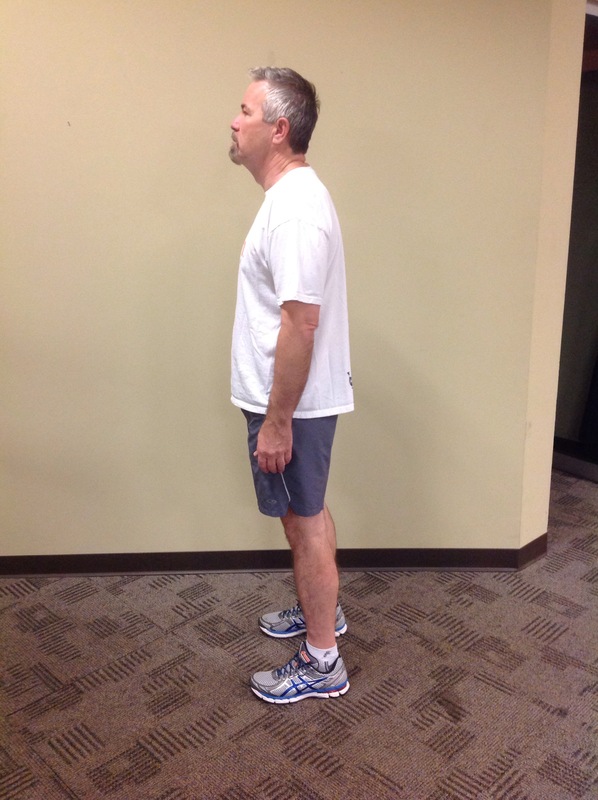 Below is an example of just something small… Do you know what your posture really is? The picture says it all! This is what FOUNDATION TRAINING will do for you! MOVEMENT will be the focus for 2015! MOVEMENT is exercise! The everyday parent, teacher, preacher, professional…we have to get moving more. We are basically awake 16 hours a day. Eight to ten of those hours are at the office behind a desk. The other 6-8 hours are sitting at home relaxing after that long work day. Or maybe sitting at a bar for a drink and dinner…then we go home to relax. Maybe you had to be at a ball game and sit in the stands for another 2 hours? Get the picture? Just because we are busy…which most of us really are…doesn’t mean we are moving enough. On top of that we are probably moving with poor movement patterns. I realize you probably never even think about moving or how you move…but this stuff is important! The may we move now is going to play an important role in how well we manage as we approach the senior years. I have been a fitness advocate for many years now…trust me, I have my own pain issues. Learning about your body…your posture, your movement and the adjustments you can make to live better and with less pain is most beneficial. So, all that being said, rethink your fitness/health plan for 2015. Think movement! Think posture! Think improving how you sit, stand, walk, jog, squat… True health and wellness is is being in tune with your body…feeding and moving it well. Here we go MONDAY morning…get out there and face the day head on! Only 15 more days until Christmas also…then 2015 starts weather we are ready or not. I hope health and fitness is on your agenda for the new year. If you are one of those who start a diet, start walking, start lifting weights or whatever activity…then you quit…let’s take a look at why people in general give up so easily. Probably the number one reason is lack of time. People will not get up earlier than usual or they are to tired after work. Reason number 2 are the kids. The kids have to be here and there. Lots of people just hate to exercise! It’s to hard, it hurts, I don’ t know what to do, I can not afford it. These are the most common reason I hear about why people give up on their exercise routine. Let’s change the way you look at ” exercise”. First, let’s change the name. Let’s call exercise “movement”. Let’s just focus on moving through our day. Next, take a look in the mirror….what do you see? Really see? Are you overweight? Does your head jut out? Are your shoulders slumped and rounded? Do your feet point out to the side instead of straight in front of you? Does your back hurt if you sit/stand to long? Do you see that hump starting to form in your mid back? If you answered yes to any of the questions then you need to get back to basics! Everyone knows you can not build a house on a weak foundation. Same thing for your body. If your body is out of alignment, your posture is poor you have to much weight on your frame…you are just asking for problems. Get your posture evaluated. Learn FOUNDATION TRAINING! So many aches and pains can be managed or stopped just by correcting posture. FOUNDATION TRAINING will put you in better posture. The movements you learn will be practiced in better posture therefore , the muscles are stretched and strengthened in a correct movement pattern. Muscle memory learns the pattern thru practice and before you know it things in your body start to change. You stand taller, you walk taller, you breath better, you feel stronger, the posterior chain muscles are now working and doing their job…which is to help you be tall and bear weight over your hips. It’s a beautiful thing! Better posture means better alignment which means less pain! So, for the new year your exercise plan should be re-worded. For 2015…I will start a healthy body plan! I will start with my foundation(your frame). I will get my posture evaluated, see what some of my imbalances are and then apply my FOUNDATION TRAINING movements to strengthen my weak links. I will then practice my better movement patterns thru the day by “moving” more. I will not sit at my desk for long periods of time anymore. I will get up and move in my better posture. I will even work standing up when possible. I will take walks in my better posture. I will lift weights using my better movement patterns. All of us had these good movements patterns as children. Somewhere along our individual path of live we stopped using these patterns and created these improper patterns. We didn’t mean to do it…it happens thru a variety of reasons. The important thing to know is…we can go back to a better way. 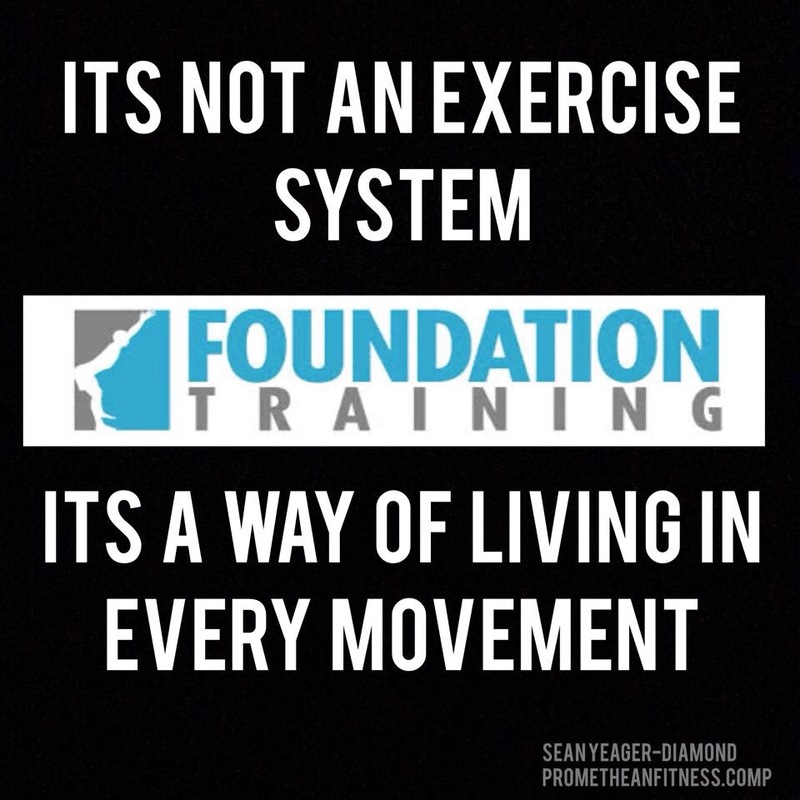 FOUNDATION TRAINING will help you find the way to better posture, movement patterns and less pain. Let’s get started! Contact me for an appointment. If I am not in your area clink on the FOUNDATION TRAINING tab. You can order a DVD, book or find a trainer. FOUNDATION TRAINING works!